Gloria Downhour, 91, of Mt. Pleasant, passed away Saturday, March 23, 2019, at the Isabella County Medical Care Facility. Gloria’s funeral will be celebrated at 12 pm Thursday March 28, 2019 at Charles R. Lux Family Funeral Home. Burial will immediately follow in Riverside Cemetery. The family will receive friends at the funeral home on Wednesday March 27, from 5-8 p.m. Visitation continues Thursday one hour prior to the service. Memorial contributions may be made to the Mt. Pleasant Community Church or charity of the donor’s choice. Envelopes are available at the funeral home. Gloria was born February 2, 1928, in South Branch, Michigan, daughter of the late Ivor Eugene and Grace Belle (Purks) Berry. Music was Gloria’s passion. She began playing the piano at the age of 3. In 1944 at the age of 16. 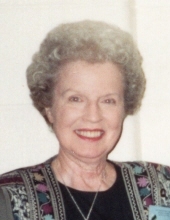 In 1948 Gloria graduated from Mio High School, she earned a Bachelor of Music in Education from Michigan State University (at age 20) and became the choral director at Gladwin High School teaching there from 1948-1952. During that time, she met and married Russell E. Downhour on June 27, 1952, in South Branch. Russell’s son, Gary was a student of Gloria’s at the time. She later taught at Houghton Lake High School from 1953-1956 at which time her son Douglas was born. After moving to Mt. Pleasant in 1958, she received a master’s degree from Central Michigan University. In 1961 they moved to Evansville, IN and returned to Mt. Pleasant in 1971. Gloria was a member of Mt. Pleasant Community Church and belonged to numerous organizations including the Welcome Wagon where she served as the director of services for 23 years, Zonta International since 1977 where she served as past president, and General Federation of Women’s Club of Michigan also serving as past president. Gloria was a big fan of Michigan State’s basketball team, she always had a smile on her face if they beat the University of Michigan or Ohio State. Gloria is survived by two children, Douglas Downhour of Mt. Pleasant, Debra (Shawn) O’Brien of Largo, FL; two step-children, R. Gary (Lucy) Downhour of Prescott, and Arlene (James) Hall of Pueblo, CO; seven step-grandchildren; many step-great grandchildren and step-great-great grandchildren; many nieces and nephews; and dear friends, Alice Helms and Monica Fox. She was preceded in death by her husband Russell in 1987; parents; seven siblings, Ruth Murphy, Geraldine Dillon, Lawrence Berry, Ivor Berry, Elaine Schwartz, Roger Berry, and Shirley Berry; step-granddaughter, Vickie Hall. To send flowers or a remembrance gift to the family of Gloria B. (Berry) Downhour, please visit our Tribute Store. "Email Address" would like to share the life celebration of Gloria B. (Berry) Downhour. Click on the "link" to go to share a favorite memory or leave a condolence message for the family.